Source Food is always privileged to work with amazing brands in the food industry, assisting them in bringing exciting and unique concepts to life. 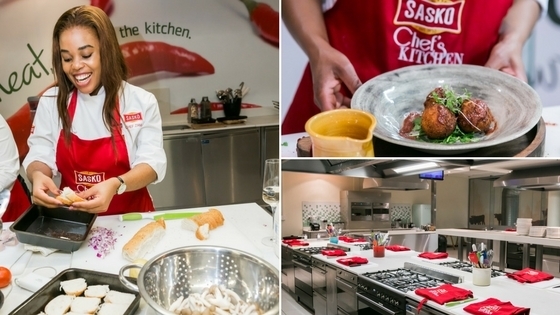 Some of our favourite activities are creating Experiential Food Marketing platforms, engaging clients and customers with each other. 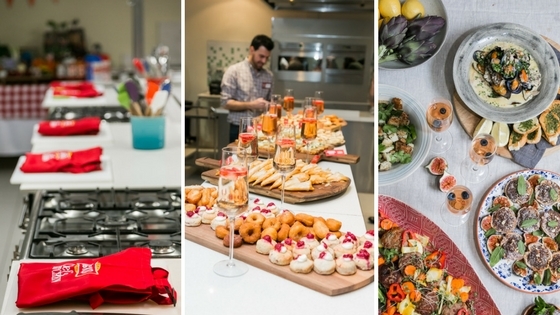 SASKO recently invited 40 of SA’s most prolific Tweeters, Bloggers and all around Digital Food Enthusiasts to come and get their hands dirty with us at the Pick ’n Pay Good Food Studio for a day of Fun, beautiful Photographs and delicious Food. 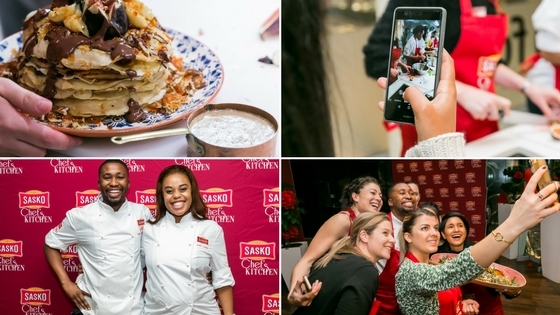 Guests were treated to Champaign & Canapes to warm up before being whisked into the kitchen where they worked together to create a SASKO inspired selection of dishes, guided by Chef Katlego & Chef Zama, who were a wealth of handy tips & tricks. Our Amateur chefs were then treated to a food photography Masterclass with professionals Henk Hattingh and Food Stylist Sarah Dall. Helping them perfectly capture their culinary creations. Is The Price Of Food Stifling Our Creativity?